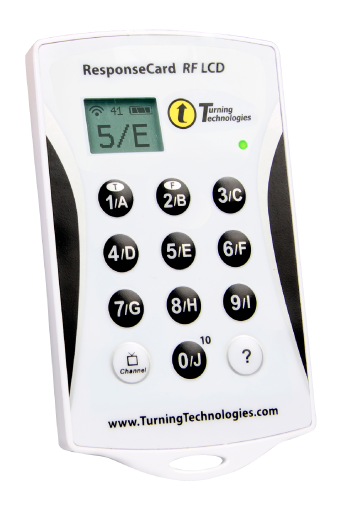 This easy-to-use, lightweight response device allows participants to answer polling questions with a click of a button. The simple design supports added engagement and no learning curve for participants to begin responding. 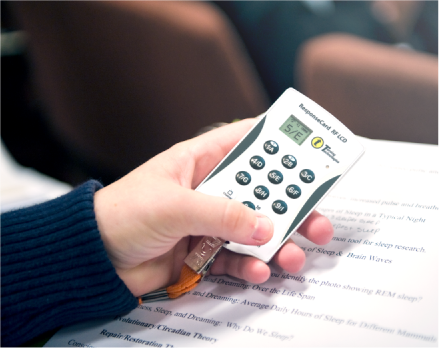 Easily respond to real-time questions polled through PowerPoint® or over any application. Respond to multiple-choice, matching, true/false and priority ranking questions. Receive visual confirmation of response selected and received through LCD and LED indicators. Designed to withstand maximum use. Up to 82 different sessions can be running at one time in close proximity without interference. A 200-foot range ensures responses are collected from up to 1,000 participants in a single setting. 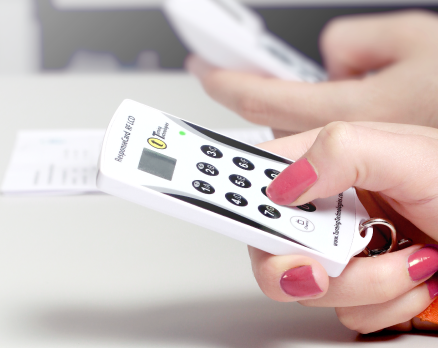 Durable, rugged clicker enclosure and long-lasting battery ensure maximum longevity. 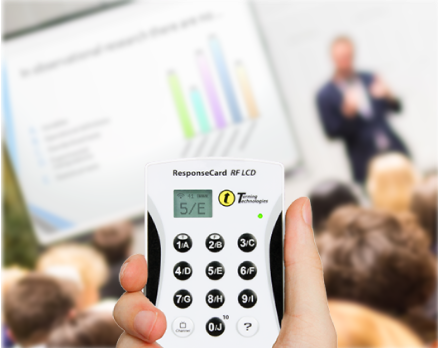 The LCD’s minimal learning curve makes it easy to increase engagement, assess participants and collect valuable data.